World of Soraya: [GET THE LOOK] Kyle Richards Turquoise Teardrop Earrings! 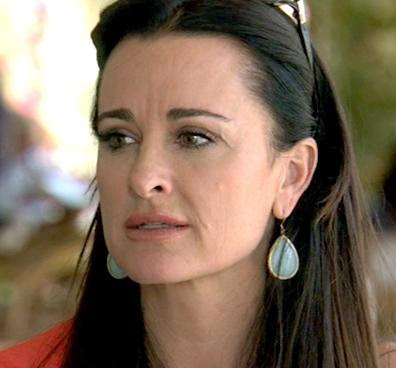 These earrings worn by Kyle Richards in her picture are not the earrings displayed for sale here. The earrings she wears are actually Kyle Chan Design Chalcedony Earrings, as accredited by her on twitter and other sources. We would appreciate it if you would accredit the correct artist for these earrings. Thanks so much for your time! The post is called [GET THE LOOK], meaning we have similar earrings to achieve this look. If you take a look at all fashion blogs & websites, "Get The Look" features just means its our version of this celebrity look. We are not claiming or crediting any brand. Thanks!